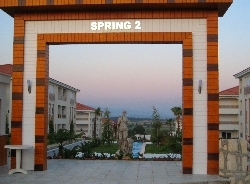 Set in a stunning location on the brand new Spring complex on a hillside in Ilica near Side just 2.5km from the beach. The apartment is set in beautifully sculpted gardens (14,000 sqm) which are filled with water features, fountains, palm trees, flowers, garden furniture and statues. The location of this apartment gives you the best of both worlds. On one hand the site itself is very tranquil, making it an ideal place to recharge your batteries. 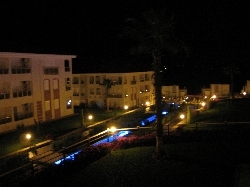 On the other hand several lively resorts and towns are located close by if you want to sightsee, shop and enjoy some nightlife. The apartments' excellent on-site amenities mean you are spoilt for choice. 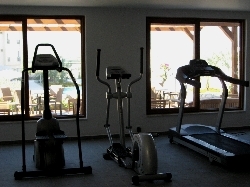 You could have a game of tennis (racquets and balls supplied), followed by a workout at the gym, followed by a dip in the pool and then if you still have the energy perhaps a sauna. For the kids there's a swing/slide/climbing frame set located in a pleasant shaded area plus a kids paddling pool. To round it off there's a heated indoor pool for the cooler autumn/winter months making this apartment a pleasant place to be all year round. 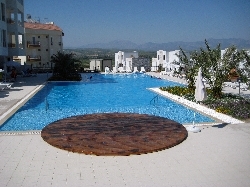 We had a wonderful holiday, the apartment and facilities were better than we had hoped we couldn�t have asked for anymore we were even able to get on line with the WIFI in the apartment most of the time. 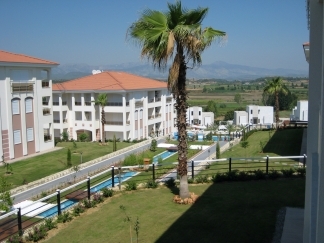 The location was great with the countryside and views of the mountains and just a short drive to Kumkoy and Side and we are thinking of returning next year, to go back to the same place two years running would be a first for us. We were absolutley amazed from the moment, we arrived at Spring apartments. What a lovely holiday home. 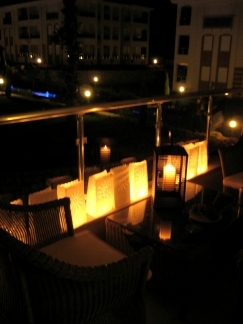 The staff we met were helpful and very freindly, from the first moment. Package holidays are for us now a thing of the past. The peace and quiet, the choice of either staying at home to eat or to go out for a meal is the difference, which made it special, along with the choices of shops, resturants, and of course, places to go. The apartment is everything your information says, and more, and unless you go, you will certainly never visualise the beauty of the holiday. - 25% deposit required on booking, this is non refundable and is required to secure your booking. 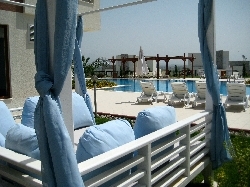 - Payment required in full 6 weeks before departure or immediately if departure is within 6 weeks. 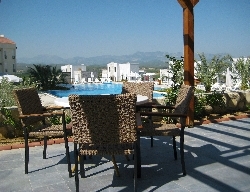 - A security deposit of �150 will be required (at the time of the balance payment) against breakages, missing items and the return of the key at the end of the holiday. The security deposit will be refunded to you within 14 days of the end of your stay (subject to satisfactory property inspection). Any breakages or missing items will be deducted from your security deposit. Insurance (for cancellations or otherwise) is the guest's responsibility. Payments accepted by Paypal, credit card and bank transfer (in EUR).